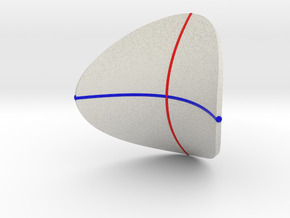 This is a beautifully cut hyperbolic paraboloid, one of the most classical mathematical shapes. 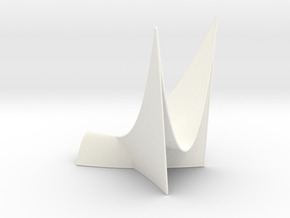 Hyperbolic paraboloids are covered by straight lines which makes them well-suited for applications in architecture. 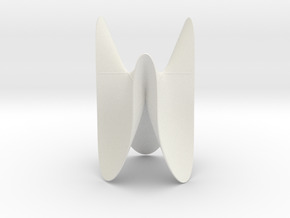 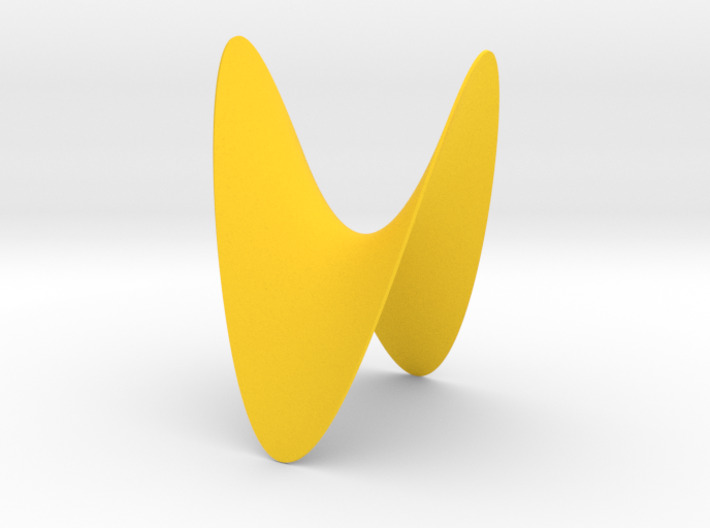 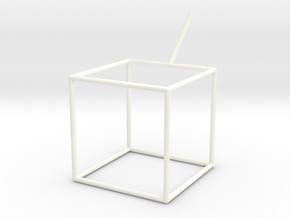 MO-Labs also provides the same object together with some of its straight lines: https://www.shapeways.com/product/VMJMRF9V9/a-hyperbolic-paraboloid-with-some-lines.